Shopping for a new Audi A8? 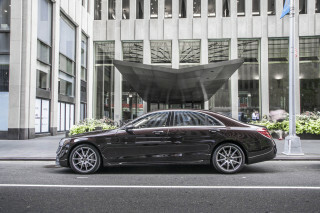 If power is your thing, wait for the V-8 model or the upcoming Audi S8. In a class rife with technology, a new generation of Audi A8 relies on its take on technology to stand out among flagship luxury sedans. A predictive suspension system, a 48-volt mild-hybrid system, a dual-screen infotainment system, rear-axle steering, and a full suite of active safety features make the A8 the most advanced and comfortable car Audi has ever built. The exterior of the new A8 has progressed only mildly from the previous-generation car. 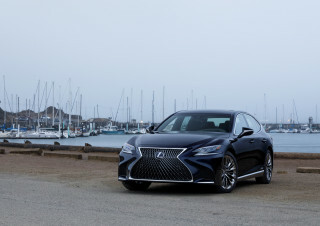 The most notable changes amount to a wider trapezoidal grille bracketed by larger air intakes and slimmer LED headlights, a profile with two shoulder lines that nearly intersect at the back of the rear door, and a slim set of taillights that span the width of the car. All telegraph a sober executive-sedan mission. The interior tips off drivers on the radical changes wrought with the new A8. Audi replaces dozens of buttons and switches with a digital display and a pair of touchscreens. The upper screen displays navigation and infotainment services; the lower screen serves as the interface for climate control and accepts handwritten inputs. Audi designed the new A8's body using a multi-materials strategy. The core structure remains aluminum, but steel, carbon-fiber reinforced plastic, and magnesium now help reduce weight and increase body stiffness. Those weight-saving touches allow Audi to fit the A8 with batteries for a 48-volt system that works as a mild-hybrid system and controls the active suspension. The A8 hits the U.S. market with a turbocharged 3.0-liter V-6 with 335 horsepower. Later this year, it'll be offered with a twin-turbo 4.0-liter V-8 with about 460 hp, though it hasn't been decided if that will be a 2019 or 2020 model. Within a couple model years, the A8 will add a plug-in hybrid model that couples the V-6 with a different electric motor and more batteries, for a total of 449 hp. That A8 L e-tron will also be fitted with a wireless charging system and will offer up to 30 miles of electric-only driving range. Air springs with adjustable dampers are standard and the 48-volt electrical system can deliver the jolt needed for what Audi describes as a predictive active suspension. This optional setup scans the road ahead and uses electric actuators to pull up the tires for bumps or press them down for ruts. The system can also mitigate crashes and injuries. If the car senses an imminent side impact at more than 15 mph, the suspension rises so the collision happens at a more structurally stiff part of the car—its sills and floor pan. Audi also will also offer rear-axle steering, capable of 5 degrees of movement, twice that of some systems. The A8's electric power steering has a variable ratio, and its all-wheel-drive system can be fitted with an active rear differential to divide torque between the rear wheels. Audi offers the A8 overseas with sophisticated sensors that will permit the car to operate at Level 3 autonomy. However, it doesn’t arrive in the U.S. with that technology due to regulations. Instead, a lesser version requires drivers to stay engaged. The A8 comes with a decent set of safety features and offers as many other active features as just about any other car on the market. Bold and chiseled outside and luxurious and high-tech inside, the 2019 Audi A8 embraces its flagship stature. The 2019 Audi A8 is 1.5 inches longer than the 2018 model but isn’t wider, despite its looks. That’s likely due to the grille, which trades in the squarish shape of Audis past for a trapezoidal grille that take up more front end real estate. The eye-slit headlights are still there, but they’re even thinner and more complex now, and they still have an LED Audi signature. Up front and along the sides the lines are sharper. The car has a hint of rear haunches and smaller flares up front, as well as a character lines along the bottom and up top in a line that runs through the door handles. Chrome trim around the windows and grille, and along the rocker panels adds a touch of class. The rear is defined by a full-width taillight bar, a spoiler built into the trunk, and dual exhaust outlets. The car puts on a lightshow upon startup, as those taillights light up sequentially. The interior also treats occupants to a show. A theater-like lighting display is triggered when the car is unlocked, the tweeters rise from the dash, and the air vents open upon startup. A pair of central screens eliminate several buttons this year and combine with a digital instrument cluster to give the A8’s cabin a high-tech look. The precise fit and finish of the wood, brushed aluminum, and leather shout luxury. The 2019 Audi A8 is sportier than other full-size sedans, but remains buttery smooth and offers plenty of power. The new Audi A8 is 1.5 inches longer than its predecessor, but a lot of technology makes it more nimble. A new multi-material structure combines aluminum with high-strength steel, magnesium and carbon-fiber-reinforced plastic to give the 2019 Audi A8 24 percent more structural rigidity than the last model. The optional predictive active suspension uses a camera at each corner to scan and describe the road ahead to the car's computing brain 18 times a second. The standard air springs and adaptive dampers couple with actuators that can raise and lower each wheel individually, as the road surface dictates. The suspension has programmed modes that allow the car to lean more or less, depending on the comfort level chosen. An available rear-axle steering system can turn the rear wheels up to an extreme 5 degrees opposite the fronts below 37 mph. And an active rear differential can make sure the power at the rear is best utilized both through corners and in a straight line. On the road, the A8 drives smaller than its size. The air springs and the electromechanical actuators counteract body lean through corners, and the optional rear-axle steering cuts the turning radius to make the A8 feel like a mid-size sport sedan, especially in the Dynamic mode. Opt for the Comfort mode and the A8 offers a pillowy ride, though it is never harsh in Dynamic. The modes also change the steering feel and response. It’s lighter and less responsive in Comfort and heavier and and quicker in Dynamic, but it is always predictable. Thus far the A8 has only one engine, a turbocharged 3.0-liter V-6 that it shares with the Audi A6, A7, Q8, SQ5 and S5. It metes out its 335 hp and 369 pound-feet of torque smoothly and quietly unless pushed, it can launch the A8 from 0-60 mph in 5.6 seconds, and it only speaks up with a reserved howl. The engine sends its power to all four wheels through a refined and ready 8-speed automatic transmission. The V-6 works with a 48-volt mild hybrid system that uses a belt-alternator/starter to run the stop/start system. Engine cycling is barely noticeable, but the system does little to improve fuel economy, and Americans don’t get the low-load coasting feature that Europeans get to save fuel. Luxurious, spacious, and loaded with technology, it’s hard to say if it’s better to sit in the front or back of the 2019 Audi A8. The A8’s heated driver’s seat conforms to any body type with 18-way controls; occupants are surrounded with leather, aluminum, and wood; and three digital screens up front convey any information that might be wanted or needed—another three screens are available for the rear. The A8 is a technological tour de force with comfort and space to match. In fact, this generation is even better than the last, which aged very well. The front seats have 1.3 inches more leg room, plus larger door openings that make it easier to get in and out. When buyers choose the Executive Comfort Rear Seat Package, the right rear seat is the place to be. It is heated and cooled and has a massage function. It also reclines to offer stretch-out space. Both rear seat occupants get fold-out tables and LED matrix reading lights, and they can control the climate and infotainment systems with this package. All occupants can enjoy the quiet of the cabin as well as the standard 17-speaker Bang & Olufsen sound system, but audiophiles will love the 23-speaker, 1,920-watt version. Those 18-way adjustments not enough? How about 22 with seat cooling and massage? The only downside is the trunk. At 12.5 cubic feet, it’s compact-car sized, but this is a full-size sedan and that’s about 5 cubic feet short of the mark. 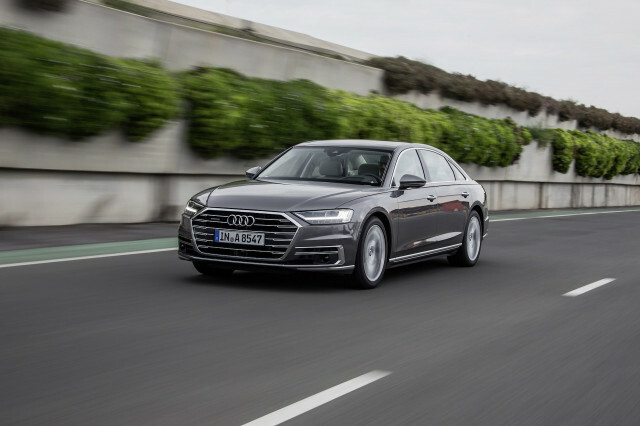 The 2019 Audi A8 is packed with active safety technology. The A8 comes standard with automatic high beams, front and rear parking sensors, forward collision warnings with automatic emergency braking, and the usual array of airbags. A Driver Assistance Package includes the driver-assist Adaptive Cruise Assist system that can control the brakes, steering, and throttle at low speeds and in traffic jams. It requires the driver to keep his/her hands on the wheel. The package also includes cross-traffic alerts, an exit warning when bicycles are approaching, a surround-view camera system, and the predictive active suspension that raises the car up to 3.1 inches when it detects that the car will be hit from the side so the impact is absorbed by the car’s structure. The Executive Package adds blind-spot monitors with the exit warning system, cross-traffic alerts, and the surround-view camera. A night vision system is also offered. Due later, when regulations allow, is a Level 3 self-driving system. In the A8, a network of laser sensors, radar sensors, and cameras can take control of the car at speeds of up to 37 mph and stay in control until the car senses a change such as higher speed limits, degraded road quality, or extreme weather. At that point, at least 10 seconds of warning will be given for the driver to retake control. The system also can handle parking maneuvers. Drivers will engage the system via a console AI button, one of the few remaining on the A8's center console. The 2019 Audi A8 is a flagship sedan that comes loaded with comfort and technology. This year, the A8 3.0T is the lone version and others will follow.. This year’s A8 comes standard with heated 18-way power-adjustable front seats, a power tilt/telescopic steering column, adaptive air suspension, keyless access and starting, automatic high beams, navigation, a 12.3-inch digital gauge cluster, 10.3- and 8.6-inch touchscreens for the infotainment system, Apple CarPlay and Android Auto compatibility, a 17-speaker Bang & Olufsen audio system, HD and satellite radio, multiple USB ports, power soft-closing doors, a panoramic sunroof, a power trunk, and 19-inch alloy wheels. Expect a V-8 model soon. 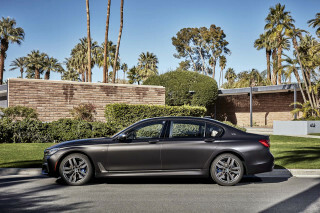 Options include an Executive Package with wireless phone charging, blind-spot monitors with an exit warning when bicycles are approaching, rear cross-traffic alerts, a surround-view camera system, a head-up display, 22-way adjustable front seats with cooling and a massage function, acoustic glass, a heated steering wheel with shift paddles, and an automatic parking system. A Luxury Package includes ambient interior lighting, extended leather, an Alcantara headliner, Valcona leather, aluminum buttons, and an air ionizer with a fragrance dispenser. 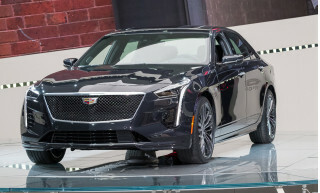 Also offered are various colors of Valcona leather, 20-inch wheels, rear-axle steering, a the predictive active suspension, and a 23-speakers Bang & Olufsen audio system that puts out 1,920 watts of power. Audi updates its infotainment system for 2019, changing from a single screen with a central puck to dual touchscreens. A digital instrument cluster is also standard. A 10.3-inch screen is located on the dash and an 8.6-inch screen sits on the center console. Infotainment controls are run through the top screen, including Google Earth navigation, while climate controls are run through the bottom screen. Nearly all secondary controls have been moved to touch control, with big display screens and haptic feedback taking the place of functions from radio tuning to seat-heat selection. The new screens are pressure-sensitive as well; deeper commands, such as cycling through different levels of seat heat, are as simple as pressing more firmly on an icon. Touch input has improved over the previous puck-based system. The entire lower screen has become a touch-sensitive pad that accepts handwriting inputs, in lowercase letters or cursive, even letters written on top of each other in succession. The A8 also accepts a much wider range of voice commands, from a more robust on-board database and from cloud-based speech recognition accessed through its on-board data connection and concierge service. The system also offers a wi-fi hotspot and can switch between terrestrial and online radio. It reacts quickly to inputs and seems intuitive in our limited exposure. We’ll have to update our opinion as we get more exposure. A full-size luxo-barge, the 2019 Audi A8 doesn’t appeal for its fuel economy. Compared to the supercharged V-6 in the last model, the new turbo delivers the same combined fuel economy, but the highway number drops by 2 mpg. 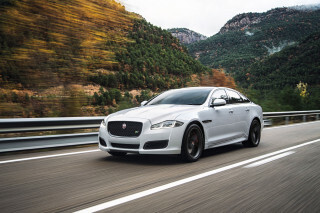 Expect a twin-turbocharged 4.0-liter V-8 later in the model year. EPA fuel economy ratings are not yet available, but they should be close to the 16/26/19 mpg of the 2018 model.